That auto insurance premium is a really important bill to pay on time, and failing to do so can lead to some serious legal troubles. There’s a range of penalties that come along with making late payments on auto insurance. The penalties can be anything from a minor fee to being dropped from your insurance company and having to face higher premiums from other companies in the future. For these reasons, paying your auto insurance on time should always be a top priority. Generally speaking, insurance companies would be within their rights to cancel your policy after you are just a few days late with a payment. That’s why it’s important to read through the paperwork that comes with your policy and to be careful to make the payments on time, every time. Of course, as a general rule, insurance companies won’t cancel the policy after one late payment. Instead, they will usually give you a warning (or several) before finally canceling the policy. However, it’s never worth the risk! 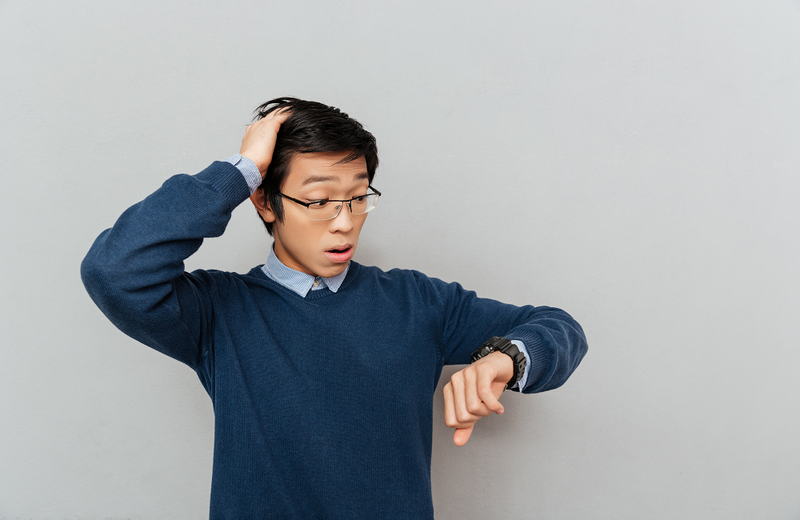 Also, whether you’re one hour late with your payment, one week, one month, or even one year… late is still late, and you may still be subject to the same penalties. With that being said, if you do happen to miss a payment, don’t keep waiting to pay. Pay immediately and contact your insurance company at once! The two main consequences of paying insurance premiums late are a canceled policy or increased insurance premiums. Most companies will cancel your policy if payments are made late too many times, but there are companies out there that inflect harsh penalties for a single payment that comes in too late. After your original policy is canceled, other companies will be inclined to charge higher premiums to you than they would have originally, since you are now a high-risk customer. Drivers who are considered “high risk” not only face higher rates but they also often have a harder time finding a company willing to offer them a policy. This will make owning a vehicle more costly overall. There are plenty of auto insurance companies that offer a grace period to policyholders that pay their insurance late. This is a nice feature that will keep your policy active, but that doesn’t mean you’re off the hook. Most companies charge late fees during that grace period, and these fees can really add up. After paying insurance late several times, it’s likely that the policy will be canceled entirely. When that happens, you’re at risk of being fined or suffering from other penalties for being uninsured. Some states assess drivers a daily fine for going without auto insurance. Other states suspend the driver’s license for not having insurance. When you must undergo a lapse in coverage, there are many different penalty types to worry about, which is why it’s so important to remain insured or to immediately purchase insurance if your original policy terminates or is canceled. Some states require that insurance companies send out notifications to drivers that lose their insurance coverage, but not all. It’s possible that a driver could lose coverage and never know it. That’s why it’s important to know about state laws and to try to maintain insurance coverage by making on-time payments. If insurance is allowed to lapse, it’s important to take care of the problem as soon as possible or to send in your license plates to the DMV to avoid penalties and legal action. Also, avoid the legal nightmare and colossal expense of getting into an accident without insurance! Note: Some states, as soon as they receive notice from your previous insurance company that they canceled your policy, will then contact you and request proof that you have purchased other insurance. If you ignore this letter, they can suspend your license, and you would then need to pay fees and meet state-mandated requirements to reinstate your license! I Missed a Payment. What Now? If you’ve missed a payment, don’t panic. If you have the money, pay your insurance bill and contact your insurance provider at once to alert them that you have now paid. While you’re at it, you can ask about a grace period or the possibility of waiving late fees (depending on how quickly you caught your mistake and made the payment). If you haven’t paid for a long period of time (a week or more), or if you know even before the bill is due that you don’t have the money to pay it, don’t keep it to yourself! Again, contact your insurance carrier immediately. They will most likely want to keep you as a customer (to keep receiving your money), so it will be in their best interests as well as yours to work out payment details with you. Some companies may even be willing to push back a payment, especially in emergencies. You won’t know unless you call to ask!